Pichola press photo via NVC/Neela Vermeire. Lake Pichola is the crown jewel and central focus of the princely city of Udaipur. A myriad of colourful historic, architectural and spiritual reflections fall on this splendid water body – the sunlight and moonlight of each season bringing out the eternal and timeless beauty of Lake Pichola. Our latest fragrance captures such countless reflections on the lake from the past to the present – showcasing the splendour of opulent and vibrant flowers, princely spices and precious woods taking us on an unforgettable and hypnotic fragrant journey. Once you have experienced the diverse and stunning beauty of these indescribable reflections you will understand the true meaning of timeless luxury and effortless beauty…. Cardamom, cinnamon, saffron, juniper, magnolia, neroli oil, clementine, bergamot. Orange blossom absolute, rose absolute, tuberose absolute, Jasmine sambac, ylang-ylang. Benzoin absolute, sandalwood, driftwood, vetiver from Haiti. Pichola will be previewed at the Milan Esxence fair, but will officially launch in April in Paris, America, and at various Neela Vermeire retailers in the EU. It is an eau de parfum that comes in a 60 ml/2 oz bottle. I do not know how much it will cost, but I will update this post when I do. Photo: Tim Makins via indiamike.com. This entry was posted in Florals, Neela Vermeire Creations, New Perfume Releases, Orientals and tagged Bertrand Duchaufour for Neela Vermeire, Neela Vermeire Pichola, New Pichola fragrance, NVC Pichola fragrance release by Kafkaesque. Bookmark the permalink. P.S. Kafka dear, I feel rather silly asking, but what is Milan Esxence? It’s not a silly question at all! In essence, it’s an exhibition and trade show of sorts. Usually runs 3 days with perfume houses of all kind showing their latest or upcoming releases. Open to the public with a ticket on one day. Open the full 3 to retailers, media, press, etc. There are several such shows. In the Spring, Milan hosts Esxence. In the Fall, Florence/Firenze hosts Pitti. America has Sniffapalooza, but that is more for the customers and something that is arranged by a certain group for people to get to sniff a lot of new fragrances. It’s usually in New York. But the Esxence & Pitti ones are professional trade shows. 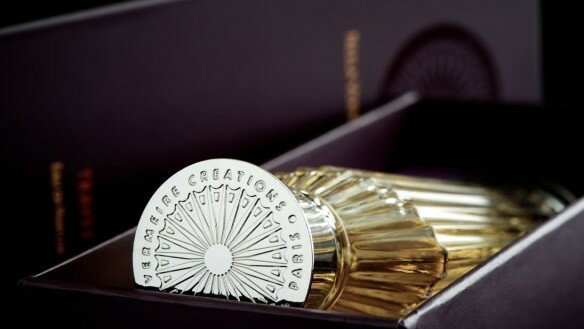 Consider them as the perfume equivalent of Paris Fashion Week, only once a year per city or twice annually as a whole. 🙂 Thanks. DB8-exquisite taste. DB9 Volantes are fine too. The new Bond Spectre car is a DB10 I believe. I’ll need Mr. Craig to give me lessons. Lol Then off to Milan and Florence. Stunning photos! This one is chockful of my difficult notes so I really have to keep an open mind when I encounter it! 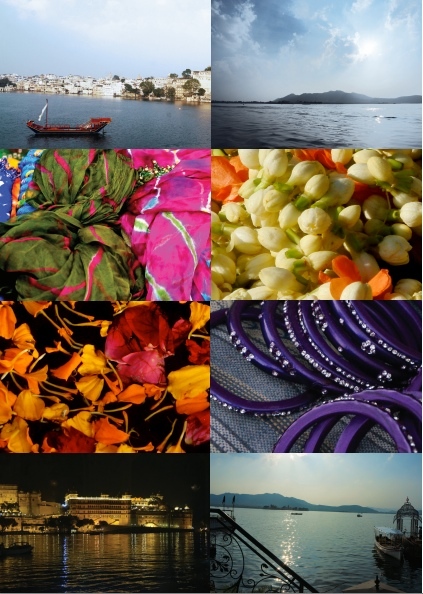 The thing about Udaipur, the province of Rajasthan, and India as a whole is that there is no photo on earth — no matter how gorgeous or beautiful — that really seems to capture the *true* beauty, feel, or intensity of the place. There are places in India that literally left me speechless and my heart thudding at its beauty, with my mind completely unable to comprehend what I was seeing. There is a mountain range outside of Bombay (sorry, Mumbai) called Matheran that I talked about in my review for Neela Vermeire’s Trayee. I will never forget being at the top and just feeling absolutely light-headed from the effect of what I was seeing. And I’m really NOT the sort to ever go on about natural beauty or landscape. In fact, I almost never do. But Matheran…. I decided there and then that I would one day live in India. And that was before Jodpur, Jaipur, and Udaipur blew me away even more. Gorgeous! How does one get to the palace/hotel? By launch, or is there a causeway? Speed boat. 🙂 Here is a brief history on the Lake Palace, its creation, and its famous fans/guests in the modern era (like the Shah of Iran, Queen Elizabeth & Jackie O): http://en.wikipedia.org/wiki/Lake_Palace. In looking that up for you, I saw that it’s reportedly been voted the most romantic hotel in the world, though I couldn’t find a link to such a poll. Still, it wouldn’t surprise me, as it really *is* very romantic. If you can believe it, it’s actually not the grandest or best hotel in Rajasthan. 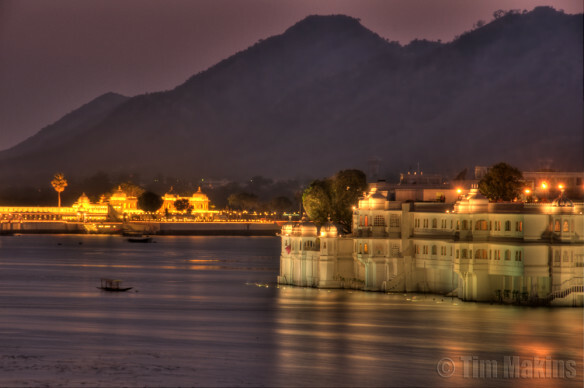 There’s another one which puts the Lake Palace to shame, and is the most elaborate, magnificent thing ever imaginable. Truly, jaw-dropping in its mammoth size, ostentatious luxuriousness, and beauty (not to mention the grand services you get as a guest). But it lacks the really romantic locale/environs of Lake Pichola. I could go on about Rajasthan all day long. India as well, in fact. I never expected to lose my heart to the country, let alone to the degree that I did. There are two places in the world where I plan to one day live: Copenhagen and India. In my ideal dream fantasy, it would happen at the same time so that I could escape from the extreme weather of one place in Winter to the other, and from the extreme summer of the other back again. LOL. I clearly need to buy a lottery ticket, but I tell you, if you ever have the chance to visit India, you should go. There is really nothing quite like it. whose mother is Danish and from Copenhagen.I have postcards from there. I collect postcards and have hundreds from all over the world from friends, family and strangers. Ever since seeing A Passage to India and Jewelry in the Crown, I’ve desperately wanted to go there. People ask why on earth go there with the heat, crowds, cobras etc. lol I’ve got friends from Mumbai who run a really awesome perfumes kiosk in a mall. You’d be surprised at the hard to find fragrances they carry. Sorry Jewel in the Crown, though i’m sure there must be stunning jewelry in India too. Ooh, may I ask- which mall do your friends run the perfume kiosk in? I am in bombay right now and am always on the lookout for ‘perfume places’ that i can recommend to my sister who lives here. Is this in the Palladium Mall ? kiosks in 2 malls here.Sorry for not being specific. Very intrigued!! This one sounds like something i might love! Based on my response to the other Neela Vermieres- PURR!- I will probably start saving now and blind-buy this one when it’s available. I adore white florals, and am counting on this one to be a beauty. Exciting news. I recently fell in love with Ashoka, so I will order a sample of this as soon as it’s available, for sure. She’s such a talented artist, I look forward to hearing more about Pichola upon its release in April!